Height Adjustable from 28" to 41"
The Hausmann Industries Balance Activity Platform is a medical training device designed for patients undergoing exercise, physical therapy, rehab and vestibular training; a specialized training to improve balance and lessen issues related to dizziness. The included support handrails are constructed with stainless steel and are height adjustable from 28" to 41". Its New Secure Lock System makes the sturdy uprights even more stable. 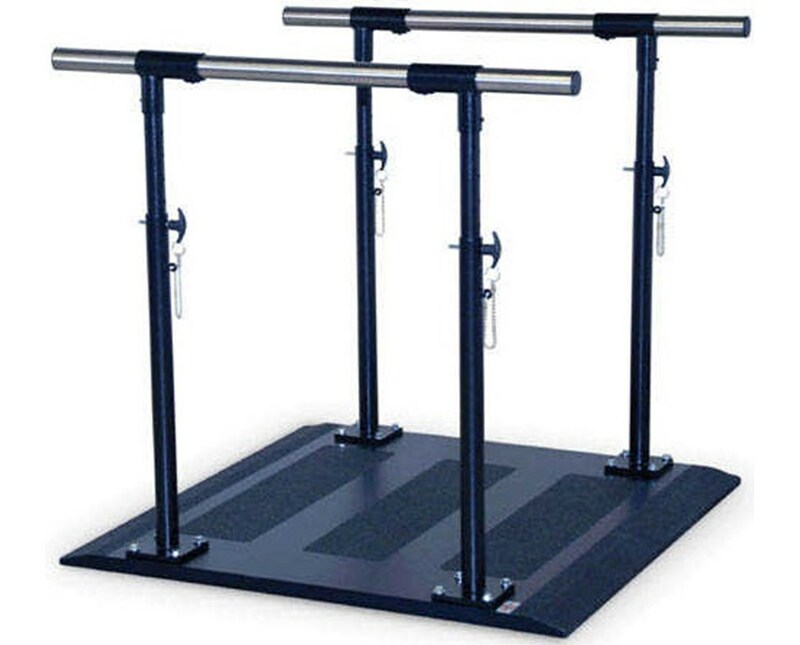 These Parallel Bars are all mounted on a black laminate platform with built-in safety treads. 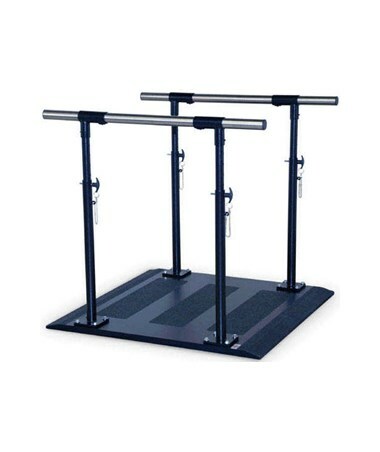 The Hausmann Industries Balance Activity Platform comes in a size of 36" W x 36" D x 28 - 41" H and a weight capacity of 400 lbs.